CleverTerm is a program to communicate with devices via RS232, RS422 or RS485 by using a serial port. It is especially developed for testing field-bus applications in the automation technology. CleverTerm is free and available for Windows and Linux. 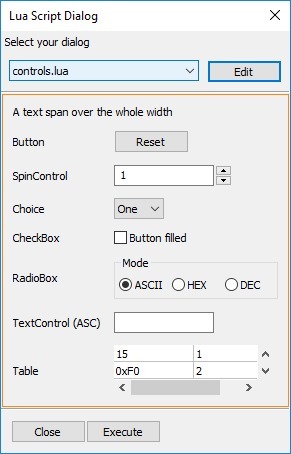 A unique feature of the CleverTerm program is the option to extend its functionality by own sending dialogs written in Lua. 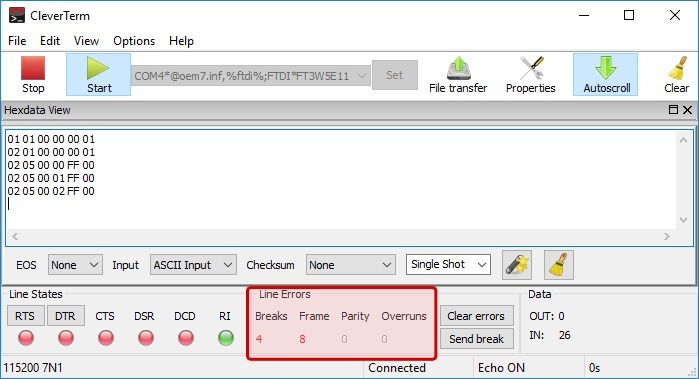 These range from simple inputs like to generate telegrams with individual checksums to a complete simulation of Modbus master requests. 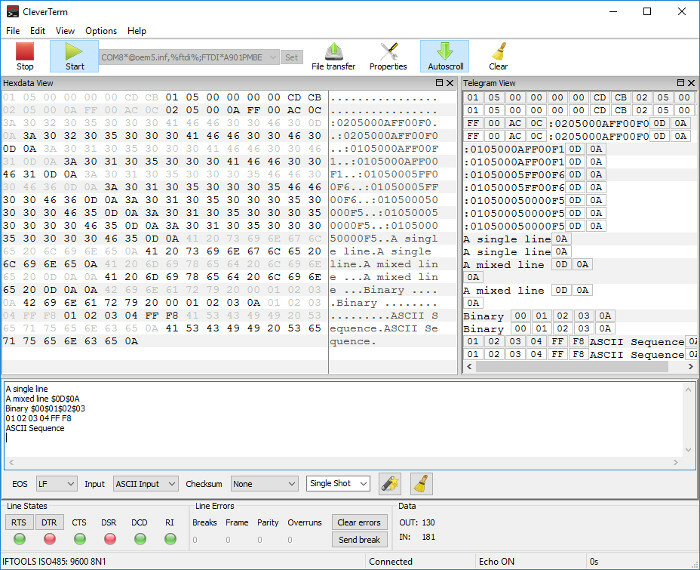 Simultaneous display of the raw data as hex dump and in a line by line telegram arrangement gives you a best view over your transmission. Different colors let you distinguish between the data direction. 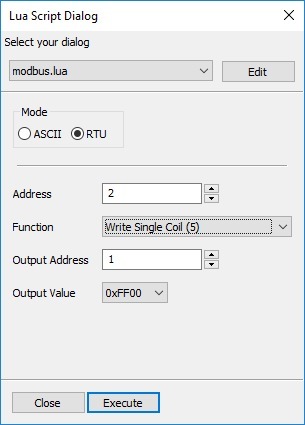 Instead of building a valid Modbus byte sequence by hand (including the right checksum), you just select the function number in the Modbus dialog and input the device address and function parameter. let you stop the time for every sent single telegram and measure the transmission time of a huge data block or file transfer for performance tests. 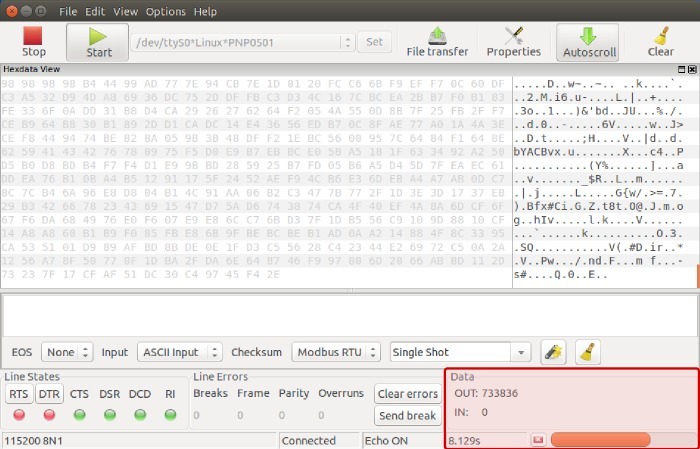 CleverTerm shows you the number of the frame and parity errors as well as the count of UART buffer overruns and occuring breaks. Don't bother with not meaningful port numbers any more. 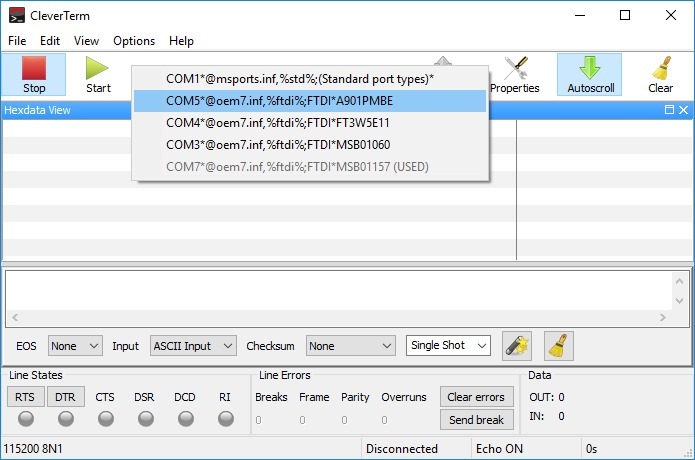 CleverTerm shows you the device assigned to the port with product name, vendor information and device state (used or free). Further you can tag a device with your own name alias. CleverTerm provides a GUI independent and non-blocking device access. The transmission speed only relies on the OS and the device itself and guarantees maximum performance. CleverTerm works with all kind of serial ports and USB to RS232/RS485 converters supported by your OS. Depending on the device it provides baud rates from 1 to 1MBaud and static mark and space parities. let you enter und edit sending byte sequences as best as it fits your intention. 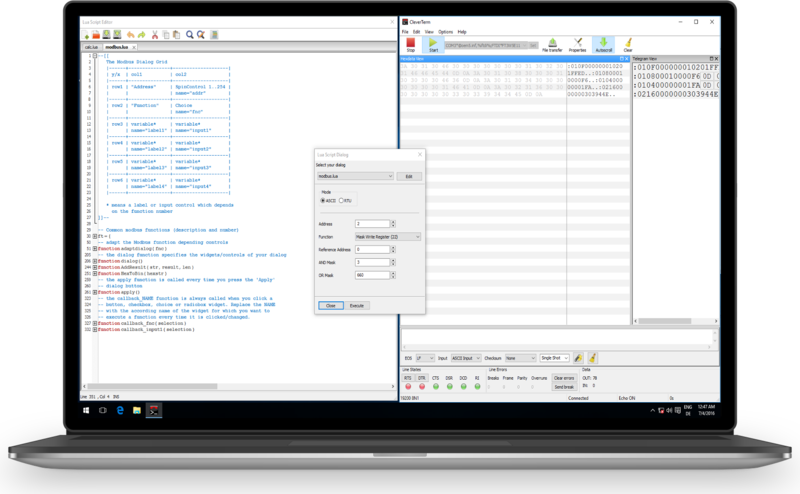 CleverTerm offers data input in ASCII, HEX or mixed. A history function makes it easy to edit and/or repeat a former byte sentence. It's free - try it!